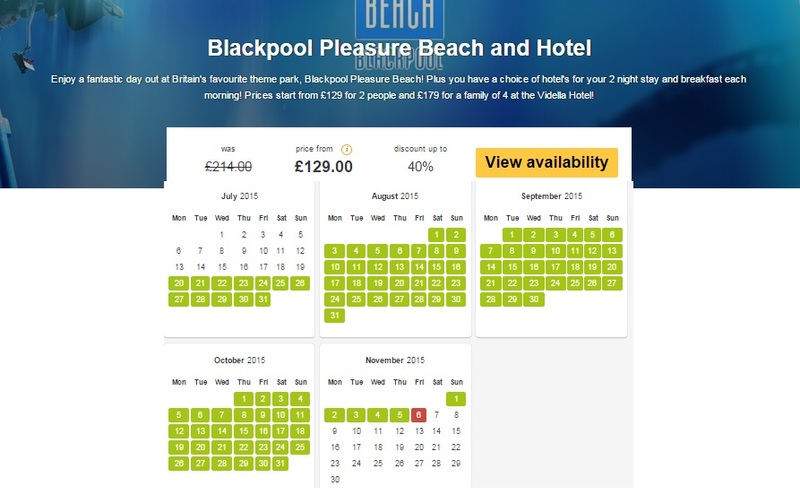 Whoaa guys, loving this new deal over at Travel Bird where you can grab a mini break to Blackpool with your Pleasure Beach Wristbands included in the price as well as a nice tasty breakfast each morning of your stay. The great thing about this deal is that it’s valid all through the summer so perfect for a family getaway. 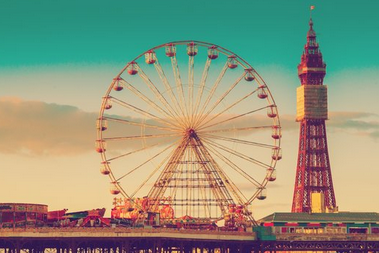 Blackpool Pleasure Beach is the most visited tourist attraction in the United Kingdom — and for good reason! Recently voted the best theme park in the UK, and one of the top ten in Europe, the park boasts 40 great rides. Spread over 42 acres, the park dates back to the 1800’s and remains a family business. Thrill seekers can get an adrenaline rush on rides such as The Big One and Infusion, which was the world’s first loop rollercoaster! The little ones are sure to love family favourites such as the River Caves and the Tea Cups! There are also over 20 places to eat and drink, so everyone is sure to find something that they fancy. You can select which hotel in which you wish to stay during the booking process. Option 1: Days Inn Charnock RichardThe Days Inn Charnock Richard is conveniently located just off the M6 in Chorely. You will be staying in either a standard double room or a standard family room. Your room will be fully equipped with a double bed, a desk, an easy chair/recliner, an iron, and ironing board, a lamp, a bath and shower, coffee/tea making facilities, cups, glassware, a TV and a complimentary newspaper. Family rooms have an additional sofa bed. If you book this hotel, you will receive breakfast, a bottle of wine on arrival and late check-out is available until 15:00. Option 2: The Vidella HotelThe Vidella Hotel is located just a five minute walk from the Blackpool train station and is very close to the beach. You will be staying in either a double, a twin or a family room. Each room has a double bed and an en-suite bathroom with towels and toiletries provided. Every room also comes with a TV, tea and coffee making facilities, and both hair dryers and ironing facilities are available upon request. Family rooms have additional single beds. If you book this hotel, you will receive breakfast.